Glass can reveal you and other things in the world. Glass can challenge you. Glass can cut you. Glass is a magical substance. Glass reflects things as truly as it distorts them. Why, it’s a Looking-glass book, of course! And if I hold it up to a glass, the words will all go the right way again. Stained in small pieces, it can create images and stories that tell us how God lived and died, saints turning sunlight and suffering into colored mists of other-worldly atmosphere here on earth. You could be known as the most beautiful women who ever crawled across cut glass to make a deal. Broken, glass becomes a metaphor for struggle laced with pain and suffering, love destroyed, the end of things that once were. Yet broken glass is more than this. Sometimes, what is broken becomes better than it was before. “Now it’s just like the other horses . . . ” says Laura in Tennesee Williams’ The Glass Menagerie, when Jim knocks her glass unicorn to the floor, breaking its horn. Breaking the glass at the conclusion of a Jewish wedding reminds of the fragility of human relationships, which need the greatest care. The broken glass is the world the couple came from, forever and irreparably changed by their union. New joy must live alongside the pain and suffering of the world. Something fell from Nellie’s hand and knocked on the floor. She started, jumped up, and opened her eyes wide. One looking-glass she saw lying at her feet. The other was standing as before on the table. The mirror reveals only what it is shown, and what it means to the looker can be something different altogether. The looking-glass is only one more opportunity to warp the matter of the world into shapes that suit deception, plotting, and retellings of post-hoc truths that matter now more than the time to which they refer. All that ends must be followed by something else. So it is with broken glass. 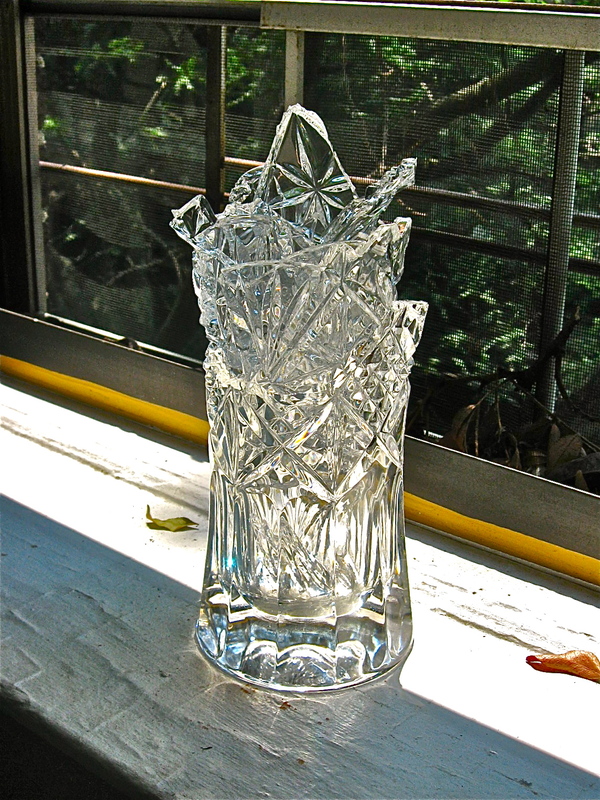 The broken vase pictured at the opening of this essay was bought by a lover to whom I had sent roses after some transgression that I have long forgotten. 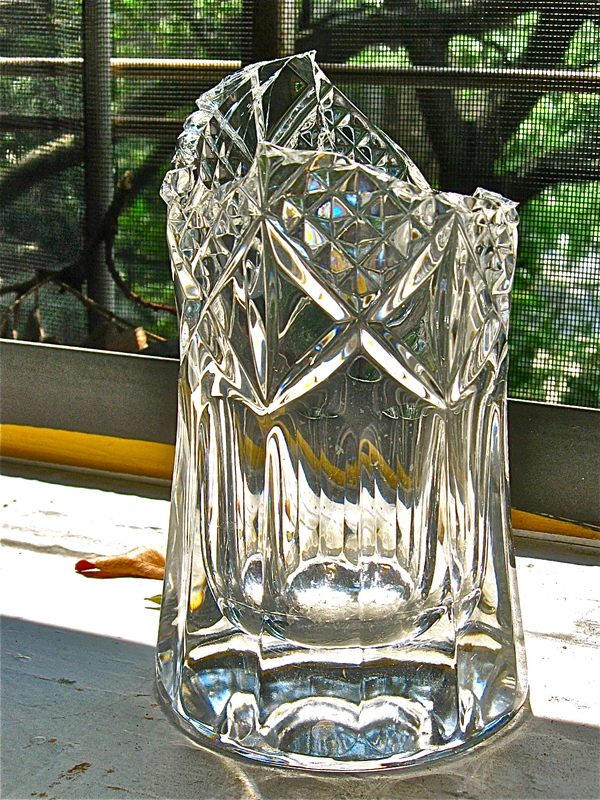 She, too, is gone, though the vase remained with me after she left. It’s been filled by the flowers of other lovers who have come and gone, each one leaving a mark on my heart, life by a thousand cuts, as it were. Then one day last year, my cat jumped up to the window sill in the middle of the night and the vase came crashing to the floor. The sound woke me and I went to look, shaking my head as I plodded back to bed, thinking that in the glint of that broken vase there was a story to be told. I will miss her. Note: This is the third of three posts in an extended essay exploring my relationship with my father and my son through the songs of Cat Stevens/Yusuf Islam. 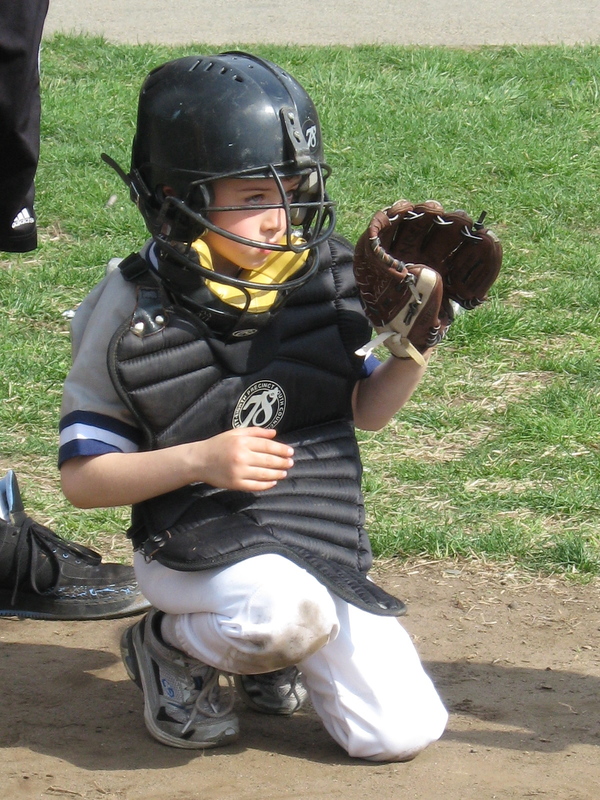 My son, Noel, plays baseball with the 78th Precinct Police Athletic League. He has a great throw and a yen to learn pitching. I am trying to teach him, and for inspiration I took him to websites with pictures and facts about Yankee legend Ron Guidry. I remember well the heady days in the seventies when Ron Guidry, The Ragin’ Cajun, was blowing away the Major Leagues and winning the World Series. Everyone in Louisiana became a Yankees fan at that time. My mom hatched a scheme to have my father, also Ron Guidry, sign baseballs and sell them to fans. This would be no lie, she said, but my father wouldn’t agree to it. On one occasion, he had his credit card refused at a gas station in Alexandria, Louisiana, because the clerk refused to believe that was his real name. I said, “Sonny, it’s ok. All fathers and sons go through that.” He looked a little puzzled. I said that “going away” is not just moving to another place. It’s also about changing your mind or growing up into someone who isn’t like me or his mom. He perked up when I said this, as if it meant something to him. (I didn’t ask.) Then we listened to other Cat Stevens songs. When I played “Moonshadow” he said, “I feel like this song is familiar, but I don’t know why.” Then I told him about how I used to sing it to him when he was an infant. In the years since my son was born, my father has come back to me in many ways. While Cat Stevens was busy becoming Yusuf and converting to Islam, Captain Ronald James Guidry was earning a Master’s Degree in Religious Studies and becoming Deacon Ron Guidry, ordained in the Roman Catholic Church. He serves as a Deacon to St. Louis Cathedral in the heart of the French Quarter and was for several years Master of Ceremonies for the Archbishop of New Orleans. He still doesn’t like guns and is trying to figure out if there is anything such as a “just war” – World War II perhaps, maybe Afghanistan in the early going, but certainly not Iraq (I or II) or the other imperial wars America has waged in the last 100 years. As Deacon, he has baptized all three of his grandchildren, including Noel. I experience him now differently than I did as his young son. I watch him with Noel and see something I hadn’t expected. They understand each other and communicate in an intuitive way that seems both foreign and magic to me. The older man is more easy-going and less rigid than when I was young. I’ve imagined saying to him now, “where were you 35 years ago?” But I don’t. He has the right to grow old, to become whatever person he wants to become, even if it seems different from the father I used to know. As I look at it now, it seems my father was growing older even as I was; while I was busy becoming someone, it turns out that he was becoming someone, too. This is something I can appreciate only now, seeing him with my own son. Such are the vagaries of time and companionship, and we are indeed companions, me and the Old Man, having survived my two marriages, bouts of unemployment and career redefinition on both sides, the loss of innocence and the freedom of wisdom, and on June 27, 2007, the loss of my mother and his beloved wife, Mary Krupa Guidry. Last summer, my father did something he’d always wanted to do. He saw Joan Baez live in concert. He had always loved her voice and something about her message. The way he talked about seeing her in concert made me think a little of the consummation (albeit chaste) of a long and unrequited love affair, something like Love in the Time of Cholera, a book he has greatly admired and which he read at some point on those early Saturday mornings after my brother and I were gone from household to build our own lives. It’s wonderful to see him happy. For my own part, I have mixed feelings about the passage of time and growing older. Cat Stevens was right—I had to go away, but sometimes I wish I never had. Then again, every time I look at my son, I am old, but I’m happy. And so is my father. In August 2009, Yusuf Islam gave an interview to Charlie Rose, which I reference above. It’s a great interview, and it’s easy to see how Cat Stevens and Yusuf Islam are the same man. Particularly poignant is when he talks about how his own son’s interest in playing the guitar sparked Yusuf to pick it up again. The interview is on YouTube in two parts, found here (part 1) and here (part 2). Another great interview with Yusuf in Dublin is here. The Cat Stevens entry in Wikipedia list among his influences a folksinger from New Orleans named Biff Rose. Biff went to college with my parents at Loyola University in the late 1950s. Rose went on to have a career of some prominence, and he returned to New Orleans to perform at the Penny Post coffee house in the mid-80s, where I met him when I was performing there. Around the same time, a young Emily Saliers played there as a student at Tulane University, following Lucinda Williams who’d passed through the venue years before. The Penny Post is one of America’s great coffeehouses, founded in the mid-1970s. It closed in the 1990s but has reopened as the Neutral Ground and continues to provide a space for singers of songs and teller of tales. The Penny Post story is told by Ray Oldenburg in The Great Good Place: Cafes, Coffee Shops, Bookstores, Bars, Hair Salons, and Other Hangouts at the Heart of a Community. Note: This is the second of three posts in an extended essay exploring my relationship with my father and my son through the songs of Cat Stevens/Yusuf Islam. With the passage of time, everything changed, as it always does. By 2002, Cat Stevens had been Yusuf Islam for 25 years, becoming a Muslim in late 1977 and appearing to disappear from Western public life altogether. During that time across the 1980s and 1990s, my brother and I both grew up. We moved far away from home, and we had sons of our own. My brother’s was named Joseph, after our mother’s father, Joe Krupa, a Slovak steelworker from the Allegheny Mountains in western Pennsylvania. My son was named after one Noel Matherne, born around 1768 on the First German Coast of Louisiana. He married a woman named Charlotte Delmer on November 24, 1789, and among their children was one Eugene Matherne, among whose great-grandchildren was my own great-grandmother, Pauline Badeaux, born in 1896 and deceased in 1998. Pauline married Ernest John Guidry II in 1917. 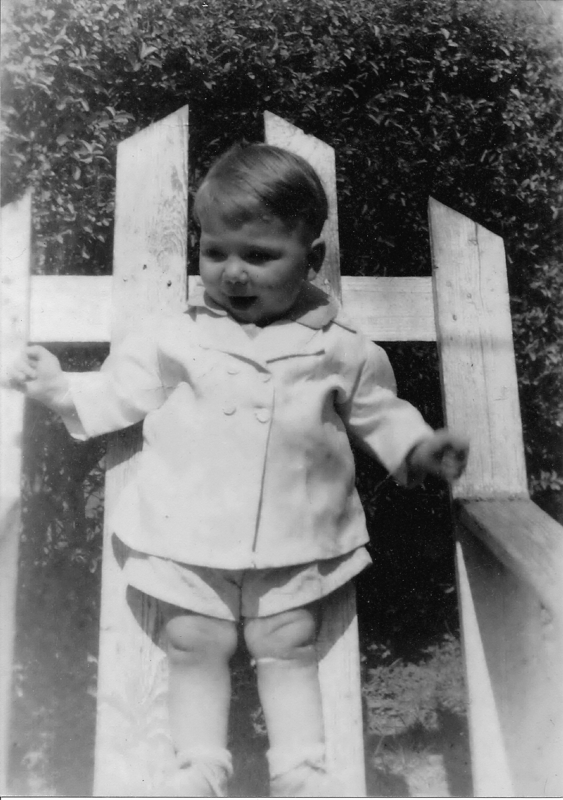 Their first-born son, Ernest John Guidry III, married Marie Lezina Vicknair on June 7, 1939, and on March 21, 1940, Ronald James Guidry was born. Ronald married Mary Krupa on September 7, 1963 and on June 3, 1964, John Alexis Guidry was born. On June 10, 2000, John married Denise Shanks and Noel Shanks Guidry was born on May 28, 2002. 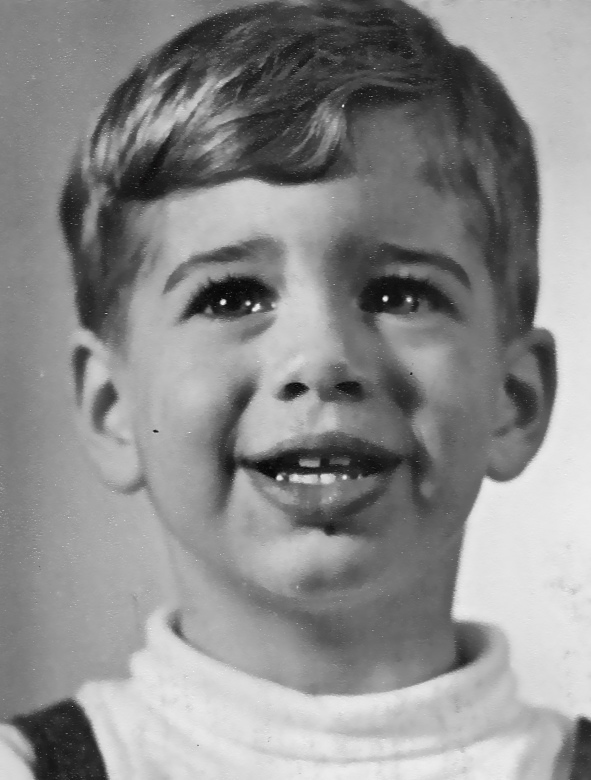 From infancy through his third year, I sang Noel to sleep every night with “Moonshadow,” delighting in the playful exchange of eyes and ears and teeth and hands throughout the lyric. 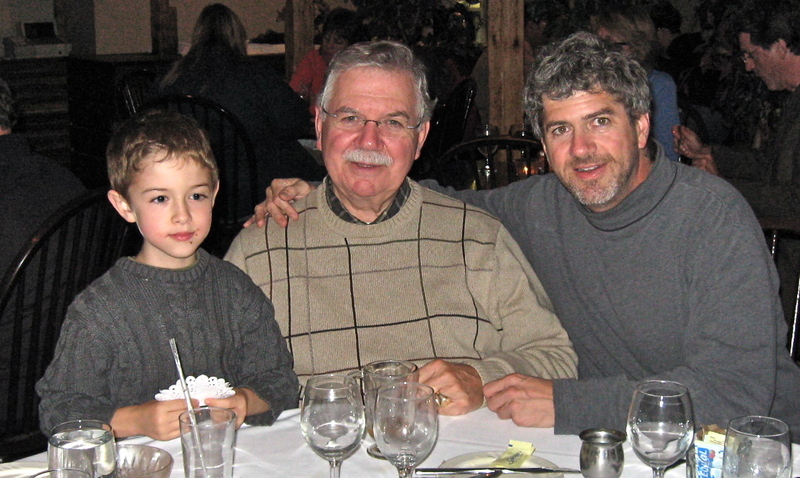 This August of 2011, my father, my son, and I are travelling together to Nova Scotia. 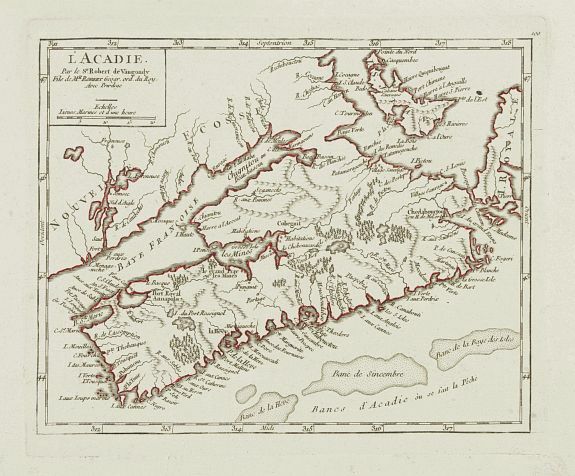 We’re going back to the Acadian homeland, called l’Acadie by its first European settlers. As Cajuns, we don’t really have a European homeland, which sets us apart from most white people in America. Our ancestor, Claude Guidry, was either born in l’Acadie in the 1640s or arrived there from France in 1671 (the records are disputed). There is no known Guidry prior to Claude, and the path backwards vanishes there. He is known in the archives as Claude Guidry dit Laverdure dit Grivois. “Dit” means roughly “said to be” (like “also known as”), and Claude’s other names mean “The Green” (Laverdure) and “Saucy” (Grivois). “Saucy,” as far as the record indicates, appears to refer to Claude’s and children’s joviality and penchant for living life the way they saw fit. They were outlaw fishermen and trappers who intermarried with the local Micmac Indians and lived with them, thus exempting themselves from the early census of the colony in 1671, which didn’t count people in mixed-race marriages and their children. We’re going to go to Claude’s old haunts in Lunenburg, LaHeve (Bridgeport), and Annapolis (Port Royale). If Claude was on the ship L’Oranger, which reached l’Acadie/Nove Scotia in 1671, he would have disembarked in Lunenburg, then known as Mirligueche. If he wasn’t on that ship, then he was already living there among the Micmac. Which story is true isn’t as important to me as simply knowing that I will walk the ground that Claude trod. It’s a dream I’ve had for many years, of standing with my son on the Eastern Coast of Nova Scotia, looking out across the Atlantic Ocean and telling him that our people came from that water, somewhere over there, leaving everything behind, and growing up here, on the land of the New World. The British and French had both laid claim to Acadie since the early 1600s, and across time this tension provoked an independence in the people there, who preferred to mind their own business and generally refused to sign oaths to bear arms for either side. As it became apparent that the French might not support these renegades, Yankee forces in Boston and the lower colonies formed a plan to expel the Acadiens and repopulate the land with Protestant Scots and Germans, creating a prosperous market for the farms and factories of New England. “The Great Expulsion” of 1755 was an Eighteenth Century case of ethnic cleansing that dispersed our people throughout the Britain’s Atlantic Empire. An idealized version of the story is told by Longfellow in Evangeline, a more historical form in John Mack Faragher’s A Great and Noble Scheme: The Tragic Story of the Explusion of the French Acadians from their American Homeland (New York: Norton, 2005). That’s how we ended up in Louisiana. How Noel and I ended up in New York is another story, but at least we’re not the first Guidry’s to make the move from Louisiana to New York. The photo of Ron Guidry was taken from the website Josh Q. Public, profiling some great pitchers, including our namesake, the Ragin’ Cajun. The Oath read “We do Swear and Sincerely Promise That we will be Faithful and bear True Allegiance to his Majty King William, King of England, Scotland, France and Ireland. So help us God.” Captain Fleetwood Emes, Commander of the Sorlings Frigate administered the Oath at Port-Royal. In taking the Oath, Claude signed his name as “Claude Gaidry”. On January 9, 1723, Claude Guidry “conditionally baptized” twin grand-daughters Helene and Marie-Josephe Guidry in Boston. They were there with other Acadiens who were prisoners and refugees of a war between the English and the Indians that lasted from 1722-25, known variably as “The Three Years War,” “Rale’s War,” “Lovewell’s War” and “Governor Dummer’s Indian War.” This is the last mention of Claude in any historical record. Not long after he returned to l’Acadie and passed away some time thereafter, among his family in his homeland. Note: This is the first of three posts in an extended essay exploring my relationship with my father and my son through the songs of Cat Stevens/Yusuf Islam. When I was a child, Saturday mornings were tranquil and unoccupied, a time when no one had work to do or church to attend. It was the one day of the week that mom got to sleep in, and it was the one morning of the week when my father had some time to himself. And so it was that Saturday mornings began with a ritual of discovery, waking up to seek out my father in the family room to see what he was doing. This was important, because whatever it was that he was doing, it looked important. Sometimes he would be reading; sometimes he would be writing. But he was always writing in all the books he read, and when he listened to music on the stereo, he scribbled all over the record sleeves and lyric sheets. And then sometimes he was just writing in one of his empty books that were simply labeled “Record.” He had a whole bunch of these already filled on the bookshelves. One Saturday morning, I came into the room and heard a new record, as I often did. 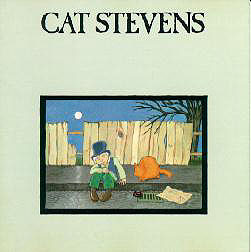 This one was “Teaser and the Firecat,” by an oddly-named singer called Cat Stevens. From that day on, the song “Peace Train” became an anthem in our household, for it was in those days, or thereabouts, that my parents and their friends were peace-loving young people, the “social left” of their local Catholic Church, complete with their own bearded-hippie-Jesus priest who rode a motorcycle, preached against war and hosted wonderful weekends at his family’s fishing camp down on Lake Verret. In our household, guns were forbidden, not even toys, and we didn’t go hunting or shooting, all of which set us quite apart in Louisiana. Guns, my father said, had only one purpose, which was to kill people, and that was not something to celebrate. At the same time, from the walls of our living room—the same living room where Cat Stevens, Bob Dylan and Joan Baez sang every Saturday morning—there hung a striking sunset-silhouette photograph of my father’s tank out on the ground around Fort Hood, Texas, where my brother and I were both born. On the same or a nearby wall (it changed every once in a while) my father’s bayonet was mounted on a felt-covered board with some other mementos, and on another wall hung award my mom got for service to Army wives. Before Cat Stevens, Captain Ronald James Guidry was a tank commander and expert marksman. Over time, Cat Stevens’ music continued to be played in our house. My father brought home each new album, all the way through Numbers, though I recall thinking that “Bannapple Gas” didn’t do the same thing for me that the other songs did. Within a few years of that, however, around the same time that Cat Stevens seemed to disappear—and I would have no idea why that happened until many years later—my brother and I were both playing the guitar and learning the ubiquitous Cat Stevens’ Greatest Hits songbook cover-to-cover. It was around that time, too, that the songs started to mean something different to me. They were no longer songs that were important to my father for reasons that he told us. They were songs that helped me think about important things, too. They were songs that captured the way I had begun to feel about my father as I was starting to think about what I wanted from this world and realized, with no small degree of concern, that the things I wanted weren’t what he wanted for me. This was a challenging idea, because I thought of my aspirations and values and dreams as direct extensions of my father’s. I didn’t understand the difficulty he had with some of my ideas, but I began to think I should worry less about his feelings than just figuring out how to move along. Like every boy my age with a guitar, I sang the words to “Father and Son” as if I had written them myself. From the moment I could talk, I was ordered to listen. Now there’s a way, and I know that I have to go away. For his part, I recalled how my father listened to “Oh, Very Young,” seeing in his eyes the familiar look of loss that increasingly haunted his moods the older he got. I couldn’t tell if he was mourning his own lost youth or mine, or perhaps the notion of lost innocence, though whether personally or in general I couldn’t quite tell. Oh very young what will you leave us this time? You know he never will. What I can say is that to this day, almost 40 years after first hearing that lyric, I cannot see my father in blue jeans without hearing the song in my head. The images are burned in my mind and branded on my heart, stirring me still as I grow older and watch my own son as he emerges from the fog of childhood into a person of his own substance and mettle. On some Saturday mornings, my father took my brother and me to Audubon Park. These were especially magical. He would sit in the grass and paint watercolors while we played. Then he took us around the park, across the bridges and next to the lagoon. He pointed out the places where he and my mother fell in love. Whatever he did on those Saturday mornings, my brother and I followed. When challenged that guns could be used to kill animals for food, my father simply pointed out that guns were not used to kill the animals we ate. He’d spent a goodly part of his childhood on his grandparents’ farm in Lutcher, Louisiana, fifty or sixty miles up-river from New Orleans. It was part of the sugar plantation there, but now it’s a Kaiser Aluminum Plant. And as a teenager, he was a butcher in his neighborhood meat shop. He knew how animals became food, and the few shot with guns today had mostly been killed in other ways for most all of human history. When pressed on the point, he explained military history and why we have guns. He was adamant about this.